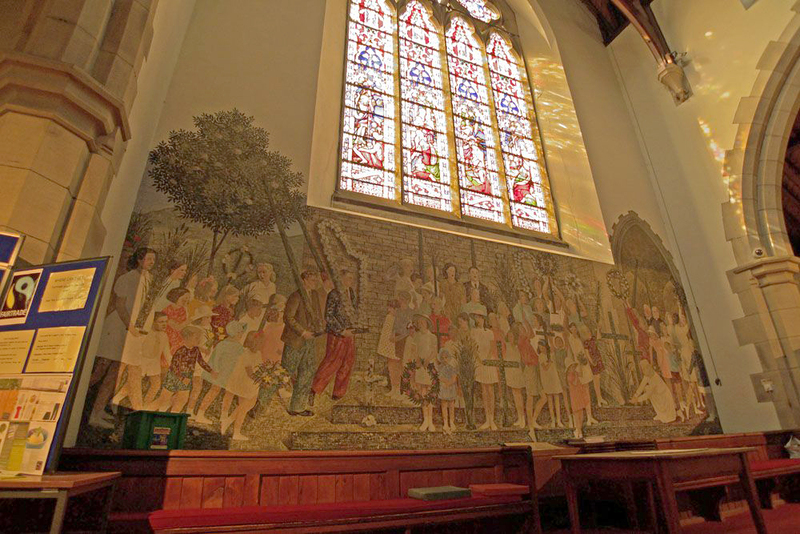 St Mary's Church, Ambleside is the home of a unique wall painting known as 'The Rushbearing Mural'. It was designed and executed by students from the Royal College of Art when evacuated to Ambleside in 1944. The Mural has now been restored and and rededicated.